In a recent editorial, the Washington Post urged Maryland Governor Martin O'Malley to commute the sentences of the four men remaining on the state's death row, saying, "To carry out executions post-repeal would be both cruel, because the legislation underpinning the sentence has been scrapped, and unusual, because doing so would be historically unprecedented." Maryland is one of three states that have repealed the death penalty prospectively but still have inmates on death row. The others are Connecticut and New Mexico. O'Malley, who is leaving office in January, was a supporter of repeal. Maryland Attorney Douglas Gansler, who opposed repeal, recently said that carrying out an execution in Maryland is, "illegal and factually impossible." The editorial concluded, "In signing the abolition of capital punishment into law last year, [O'Malley] was unequivocal: 'It’s wasteful. It’s ineffective. It doesn’t work to reduce violent crime.' Having made the moral case for abolition so eloquently, he should have no trouble making the practical case for commutation to life without parole for the four remaining condemned men. And he should act without further delay." Read the editorial below. When Connecticut abolished the death penalty in 2012, it did so prospectively, leaving its death row population in place. Now, Connecticut newpaper The Day is calling on the state to "have the courage and consistency to outlaw government sanctioned killing in all instances." The editorial first highlights the paper's longstanding opposition to capital punishment, saying "It remains our position that a state-sponsored execution disproportionately targets minorities, has no deterrent value, cannot be undone if there is a mistake and is a barbaric act that lowers the state to the level of the killer." It then draws on recent events to point out the practical problems with Connecticut's execution method, lethal injection. "The Department of Correction has confirmed it has none of these drugs and no way to obtain them because many domestic and foreign drugmakers, including those in the 28-nation European Union, have objected to using their products in executions." The editorial closes by mentioning the ongoing court case challenging the consitutionality of Connecticut's current death penalty law, saying "The likelihood is that none of the 12 [men on death row] will ever be executed and some court, state or federal, will find, as Michael Courtney, the state's head of the Office of Public Defender, has said, "there is nothing more arbitrary and capricious" than the present situation in which a person committing a capital felony on April 24, 2012, the day before Connecticut abolished capital punishment, can be executed while the person committing the exact same crime the next day cannot." Read the full editorial below. EDITORIALS: "State-Sponsored Horror in Oklahoma"
A recent New York Times editorial described the "horrific scene" of Clayton Lockett's botched execution and called on Oklahoma to "[follow] other governors and legislatures in banning executions, recognizing that the American administration of death does not function." The editors noted the Oklahoma Supreme Court's temporary halt to the execution and pointed to political pressure as a possible explanation for why the Court then allowed it to go forward: "[S]everal lawmakers threatened to impeach the justices, and Gov. 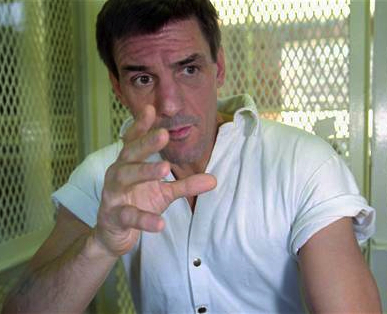 Mary Fallin blindly ignored the warning signs and ordered the execution to proceed." The editorial stated, "Mr. Lockett’s ordeal, along with the botched deaths of other inmates around the country, showed there is no reliable and humane method of execution." The Times critiqued not only the secrecy surrounding the source of the lethal injection drugs used, but also the larger systemic problems of the death penalty, such as arbitrariness and wrongful convictions. They cited a new study that found over 4% of death-sentenced defendants are likely innocent. Noting the growing number of jurists and lawmakers who are calling for a moratorium on the death penalty because of its exceptional cost, the editorial concluded, "The 'exceptional cost' refers not just to dollars and cents. It refers to the moral diminishment of the United States when a man dies by the hasty hand of government, writhing in pain." Read the editorial below. Read more about EDITORIALS: "State-Sponsored Horror in Oklahoma"
EDITORIALS: "New Hampshire Should Abolish Death Penalty"
In advance of a New Hampshire Senate vote expected on April 17, the Boston Globe published an editorial calling on their neighboring state's legislators to support repeal of capital punishment. The editorial highlighted the bipartisan support for abolition in the New Hampshire House, and Gov. Maggie Hassan's pledge to sign the repeal bill if it passes the Senate. Among their reasons for endorsing the measure, the Globe said, "Death-penalty prosecutions are expensive, verdicts often reflect racial bias, and there’s little evidence that executions actually deter violent crime." Moreover, the editorial continued, "[A] state with a libertarian heritage like New Hampshire’s should regard with deep suspicion a punishment that can only make sense if the government has the right suspect 100 percent of the time." In response to the argument that prosecutors need the death penalty as a bargaining tool, the editors said, "[T]hat’s among the weakest of reasons to keep the death penalty, because it could serve to coerce an innocent or less culpable defendant into taking a plea bargain just to avoid the possibility of death." Read the editorial below. Read more about EDITORIALS: "New Hampshire Should Abolish Death Penalty"
In an editori al supporting Washington Governor Jay Inslee's recently-announced death penalty moratorium, the News Tribune (Tacoma) said its editorial board "has grown increasingly uncomfortable with capital punishment in recent years, and we now share Inslee's feeling that Washington should move beyond it." The paper said the governor's decision "forced a welcome new discussion" of capital punishment. While acknowledging the heinousness of many crimes, the editorial disagreed that killing is the answer: "Opponents of the death penalty, including us, must look the evil square in the face while saying that execution is not a moral prerogative of the state." It highlighted the inconsistencies of the death penalty and its high cost. The editors praised Washington for only using the death penalty rarely, but said, "We don’t think it’s a big leap to go from rare to never." Read the editorial below. EDITORIAL: "Proposal to Speed Up Death Penalty Appeals Troubling"
A recent editorial in the Montgomery Advertiser criticized a proposal by Alabama Attorney General Luther Strange to speed up death penalty appeals. His proposed legislation would require two parts of the appeal process to essentially run concurrently. The editorial cautioned that lack of adequate representation for death penalty defendants would make the accelerated process more problematic. The paper concluded, “Anything that smacks of haste in capital punishment cases is inherently troubling. This is a difficult issue for the Legislature to tackle, especially in an election year, when emotion and political expediency can form a dangerous combination. If there was ever a time for sober, somber, serious debate of an issue, with an unblinking recognition of what is really at stake, surely this is it.” Read the editorial below. Read more about EDITORIAL: "Proposal to Speed Up Death Penalty Appeals Troubling"